SAC will be publicly distributed file for insolvency "Corporate Commercial Bank"
NewsSAC will be publicly distributed file for insolvency "Corporate Commercial Bank"
On 25 November 2015 (Wednesday) at 13.00. In the registry of the Commercial Division of the Supreme Court (room № 10 in the basement of the courthouse) will be publicly distributed file for insolvency "Corporate Commercial Bank" AD (CCB). Journalists wishing to attend the public distribution should be to the registry at 12.50 pm. SCC received complaints from private CCB (n), represented by its executive directors and "Bromak" Ltd (as legitimates the majority shareholder), apart from "Bromak" Ltd. and "Bulgarian Akuizshan Company II SAR "- Luxembourg, against those parts of the Sofia Appeal Court (CAC) of 03.07.2015, the appellate court that their complaints are left without consideration as inadmissible. In private complaints contained requests for making preliminary inquiries, the meaning of the questions in them: whether the debtor is legitimized by the authorities and its shareholders to appeal the court's decision; Is it possible bank insolvency court to conduct indirect incidental judicial review pursuant to Art. 17 para. 2 of the CPC of the validity and lawfulness of the administrative act of the National Bank to revoke the license for conducting banking activity, if there is no administrative procedure for appealing to him; They have the bodies of the debtor (executive directors) and shareholders - Procedure substituent "with the right to effective judicial protection". SCC been filed cassation complaints from CCB (represented by executive directors and "Bromak" Ltd.) and "Bulgarian Akuizshan Company II SAR" - Luxembourg, against that part of the decision of the CAC, which the court has ruled on the merits of the insolvency of the CCB. By its Decision of 04.22.2015, the Sofia City Court (SCC) declared insolvency CCB starting on 06.11.2014, the appeal proceedings before the CAC has initiated six complaints. 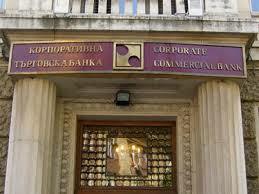 That of the Bulgarian National Bank on the part of the decision of the SCC, which is the starting date of the insolvency of the CCB, the request for determination of 09.30.2014, the starting date. Shareholder "Bromak" Ltd appealed against the first instance decision entirely. Against the whole decision and the general appeal on behalf of the debtor CCB, represented by its executive directors and "Bromak" LTD. Completely appealed the decision of the SCC and "Bulgarian Akuizshan Company II SAR" - Luxembourg. An appeal against the decision of the SCC in part to date is deposited by the trustees of the CCB, according to which the date shall be 09.30.2014, the Sofia City Prosecutor's Office appealed the decision of the SCC also part of the start date. SAC will be publicly distributed file for insolvency "Corporate Commercial Bank" SAC will be publicly distributed file for insolvency "Corporate Commercial Bank"